During a pre-honeymoon shopping splurge I stopped off in Madewell on a whim. 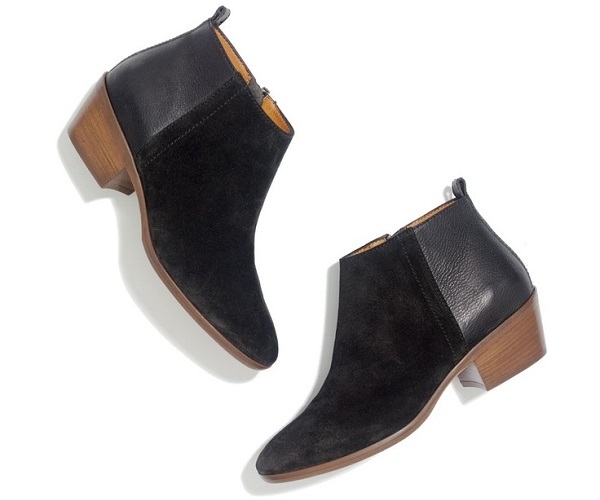 That whim turned in to discovering my perfect ankle boots. I am not joking when I say these boots are perfect: the suede and leather combo gives a detailed look, the fit is pure comfort, the heel is sturdy and adds a little height but still keeps the boots walkable and the style goes with everything in my wardrobe. These boots have filled a gap in my shoe wardrobe and I can’t stop wearing them.